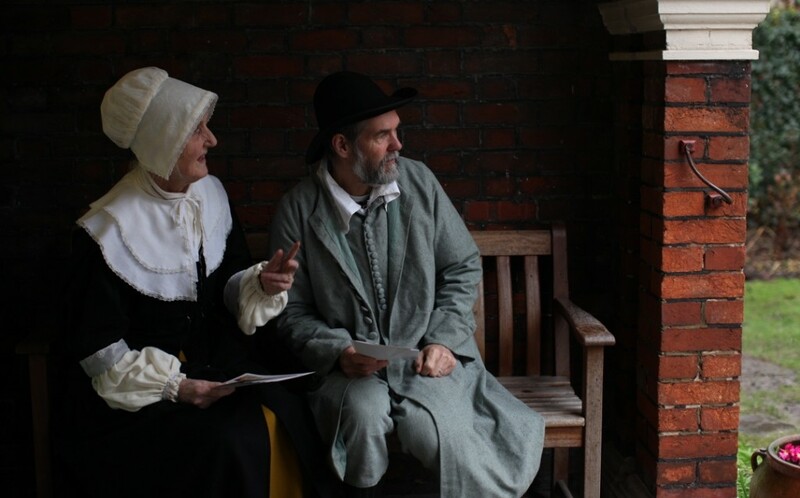 By 1700 there were many dissenters in Brighton. In that year 25% of live births were to Presbyterians, the largest group, or Quakers. The number of Dissenters in Brighton had not gone unnoticed by the authorities. The S.P.C.K. (Society for the Promotion of Christian Knowledge) had been founded to address dissent through education – children were taught to read the catechism – and opened the first public school for boys in Brighton in 1702. By one of those strange twists of history the trustees appointed John Grover, a practising Quaker, as schoolmaster. Half the boys in the town attended the school and John Grover remained the schoolmaster until he died in 1750. He became a notable figure and helped many with such legal documents as wills and deeds. 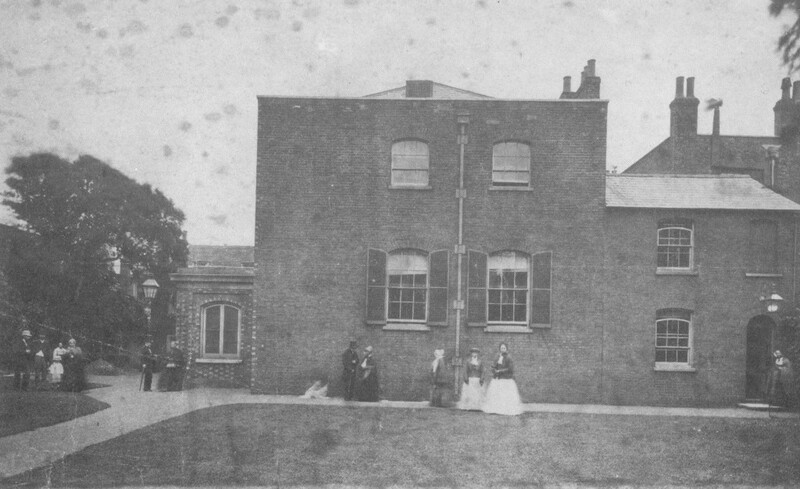 Local Quakers moved to the present site in 1805 when the Prince Regent wanted to extend his garden and close the road that ran past the entrance to the Pavilion. The land, including a burial ground, was sold and New Road constructed. The current meeting house was built on a plot owned by a Quaker butcher called John Glayzier. Only the meeting room and cottage were built. The entrance was by the side door with a path leading round, through what is now the lecture room and canteen to ‘Meeting House Lane’. This lane already existed and led to the Presbyterian meeting house, now the Font and Firkin public house. The current front entrance was a plain wall with two small windows. Windows were placed high in the walls to stop any distraction from silent prayer. The meeting house was heated by a centrally placed coke stove. The vent for this can still be seen in the middle of the main meeting room looking like a decorative feature. The adult school taught writing – most could read – bible studies, temperance, literature and socialism. The classes for 1892 include class extinction, Christian socialism and Christian secularism. A ‘sick and coal club’, savings bank, book club, library, mothers meeting and free breakfasts were all provided. The participants organised themselves and founded groups such as ‘The Federation of Working Men’. Brighton was the base for the London, Brighton and South Coast Railway; even Steam Engines were built here. Most of the participants in the adult school were railway families. Pacifism is a central practise of Quakers. In our own meeting the current Peace and Social Witness group was begun in 1934 as the Peace Committee and one of our members, Alan Staley, was a co-founder of CND. 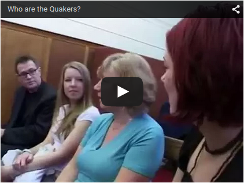 How have Quakers dealt with the fact that Brighton has-always been a major garrison town? The answer is an interesting one. 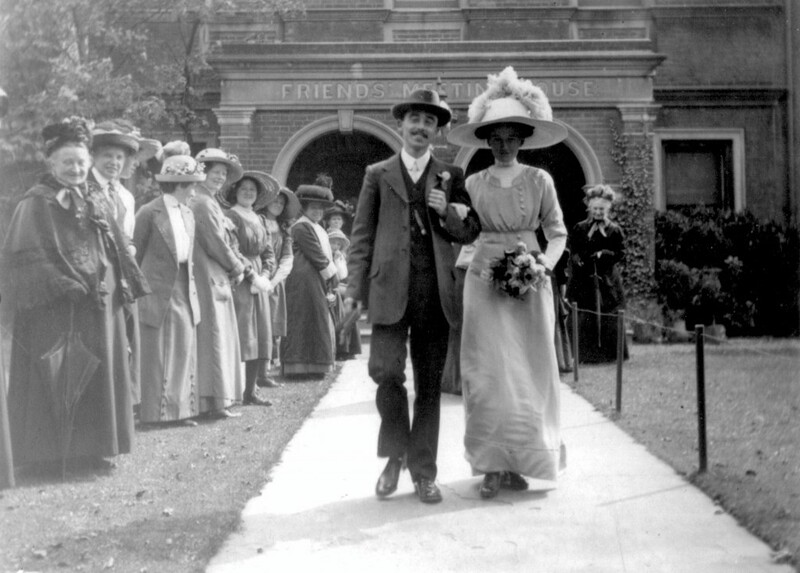 In both world wars local Quakers supported the young soldiers as fellow human beings. They provided social activities, including help and materials for writing home, as an alternative to pubs and gaming. Commanding officers would not have allowed the soldiers to attend had pacifism been openly promoted by local Quakers. The ghost of a nun, Brighton’s most famous spectre, is said to walk down meeting house lane and through the bricked up arch to the left of the back door. She is said to have been bricked up here in medieval times. The archway was actually filled in sometime after 1844. It was the original entrance into the grounds. Revisionists argue that the nun is actually a Quaker as dressing in grey was customary until into the twentieth century. The meeting house has become known as a quiet place in the heart of Brighton, though the liveliness of the area has presented, and continues to present challenges. In 1883 a minute records that meeting for worship was disrupted by noise from the Brittania Beer House in Ship Street. The meeting house is not only used by the Quakers and the Friends Centre it is a venue for many marginal, alternative and non-violent social and radical groups and causes; a ‘den of nonconformity’ at the heart of Brighton. A small booklet about the history of Brighton Friends' Meeting House, which goes into more depth, is available to buy from the office when the Meeting House is open.